Plans of development of professional football in Korea were stunning, when the country co-hosted their only World Cup so far, back in 2002. Ten brand new stadiums, each of them able to hold between 40,000 and 68,000. The largest one was built in Daegu, where we're taking you today. Daegu's Blue Arc stadium is a beautiful landmark with its location in the south-eastern outskirts of the city, opening towards picturesque mountains behind it. But the stadium only hosted 4 games in 2002 and then what? 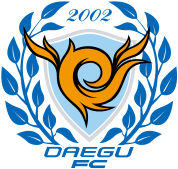 To make use of the impressive venue Daegu FC was formed, established by the city (to this day majority shareholder) which also owns the stadium. 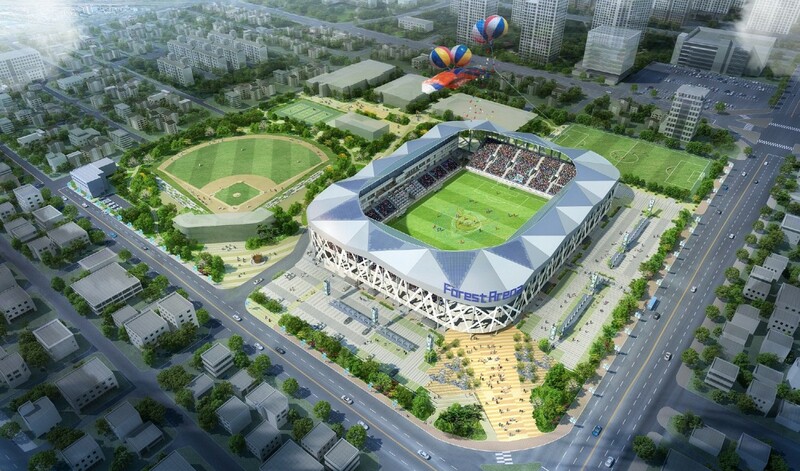 Daegu FC became the anchor tenant indeed, however they never managed to draw crowds big enough to make the stadium even half full. It comes as no wonder that the team on occasions used the old, centrally located (and three times smaller) Daegu Citizen Stadium. It should be noted that in early years the K-League team managed to build a growing fanbase, but the effort saw peak in 2012, when just over 7,000 people per game were recorded. From that point crowds began to dwindle, prompted by relegation to 2nd tier. Last year's average was only over 3,000 per game, this year it's below that level so far. It thus comes as no surprise that the city decided to correct the expectations and build a stadium suitable for their football team, in which it could actually grow. 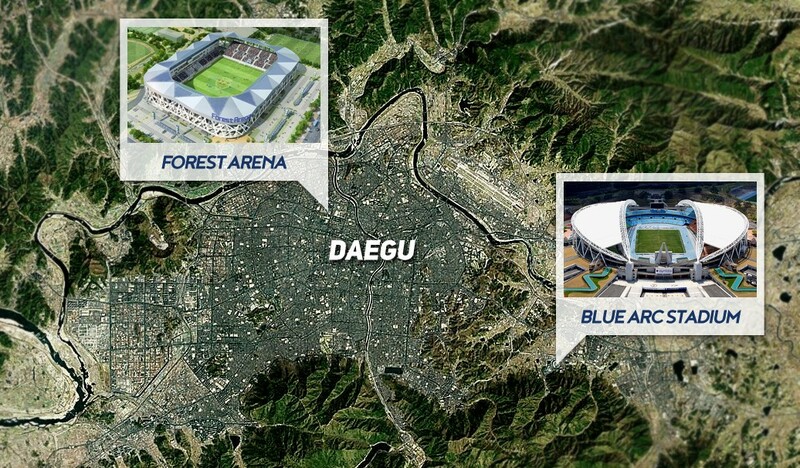 You'll find the description of Daegu's Forest Arena below, but before we move on let's note that it's not just Daegu's problem. K-League overall is battling falling attendances. Several years ago as many as 6 teams were able to draw crowds of 10,000+, while in the last three seasons only 3 managed that. 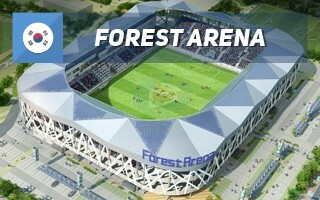 Smaller stadiums, of 10,000-20,000 seem to be the preferred way forward, based on the Incheon football stadium's example. Demolition of the old stadium began between 2016 and 2017, followed by actual construction of the successor in June, 2017. 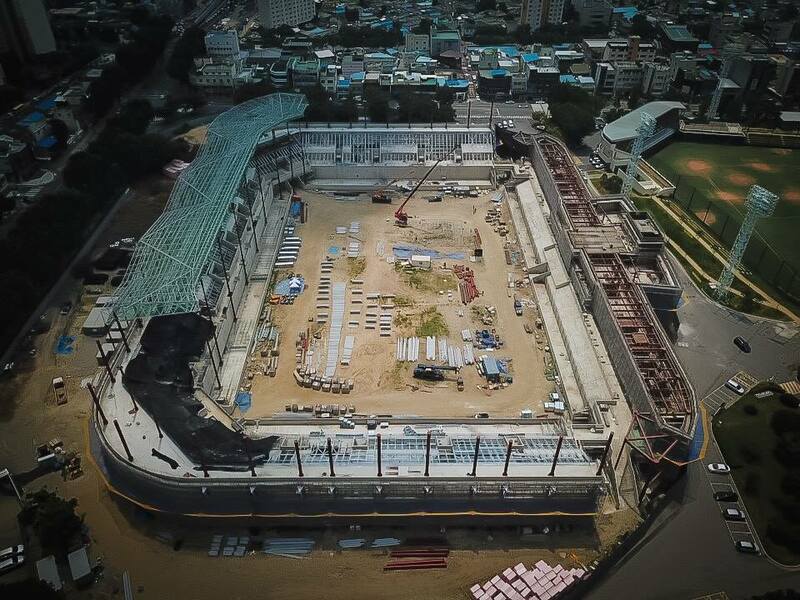 The entirety, which will also include upgrades of remaining sport functions (mostly baseball stadium and ice rink) is expected to be done by the end of 2018, with funding estimated to reach 69.6 billion won ($62.2 million at present).